A tropical home town where the Atlantic and Florida’s Everglades meet, conveniently nestled in the coastal heart of Palm Beach County, Boynton Beach serves up waterfront dining, abundant shopping and lively entertainment. The nearby Gulf Stream brings cooling summer breezes and warm winter sunshine. Boynton Beach is a creative haven embracing artists, writers, entrepreneurs and dreamers. Its energetic downtown revival emanates from the busy Boynton Harbor Marina docks to the community’s historic heart and soul. 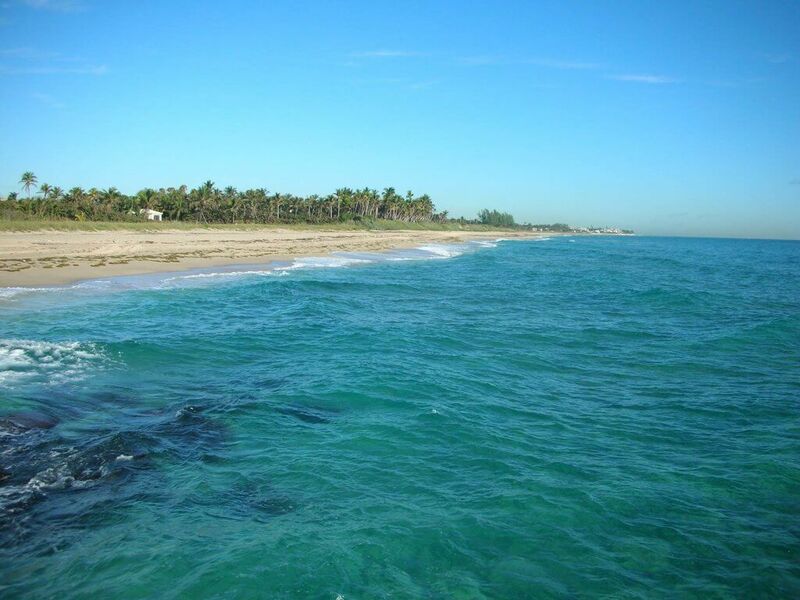 "Catch a wave, Catch a fish, Catch your breath...Breeze into Boynton Beach, America’s Gateway to the Gulfstream. " Purpose of Classification PURPOSE OF CLASSIFICATION The purpose of this classification is to supervise daily operations of meter reading and services This position is also responsible for the implementation of new programs, technology and equipment related to the meter industry. Coordinates with Customer Relations and billing, and water distribution and sewage for other measured meter flows. Essential Functions ESSENTIAL FUNCTIONS The following duties and functions, as outlined herein, are intended to be representative of the type of tasks performed within this classification. They are not listed in any order of importance. The omission of specific statements of the duties or functions does not exclude them from the classification if the work is similar, related, or a logical assignment for this classification. Other duties may be required and assigned. Supervises, directs and evaluates assigned staff, addressing employee concerns and problems, directing work, counseling, and managing employee performance; interviews candidates for employment; and coordinates/provides training. Coordinates daily work activities; organizes, prioritizes, and assigns work; develops work schedules; monitors status of work in progress and inspects completed work; consults with assigned staff, assists with complex/problem situations, and provides technical expertise. Ensures division compliance with all applicable codes, laws, rules, regulations, standards, policies and procedures; ensures adherence to established safety procedures; and initiates any actions necessary to correct deviations or violations. Consults with departmental management and other officials as needed to review department activities, provide recommendations, resolve problems, and receive advice/direction. Coordinates work activities with those of other divisions, other departments, contractors, vendors, outside agencies, or others as needed. Coordinates work schedules of the Utilities Field Technicians (UFTs) with other Utility divisional field supervisors to ensure UFTs are afforded cross-training opportunities as practical and as the work load permits. Prepares division budget for submittal; implements approved budget and long/short term plans/goals for the division; monitors expenditures. Develops meter reading schedules and routes; and maps out routes for new subdivisions. Evaluates and re-structures routes when needed. Uploads/downloads data between handheld computers and mainframe computer system; verifies receipt of data by mainframe. Troubleshoots data systems; ensures tower antennas are active and functional; ensures backup plan for outages. Works with automated meter infrastructure vendor for optimal operating performance of the system. Works with staff to identify errors and reading times of reread reports, high/low consumption reports, and zero consumption reports. Directs plans for resolution. Supervises and manages work order system and assist in performing meter reading activities; locates/reads water meters, sewer meters, and hydrant meters; checks meters for accurate readings, proper operations, safety, or tampering; investigates water leaks; inspects meters and connections to identify location of leaks; and re-reads meters to correct erroneous bills. Coordinates activities with customer relations staff to manage delinquent accounts; maintains collection effort through the actions of terminating and restoring water service. Responds to complaints and questions related to department operations; provides assistance and information related to water consumption, water meters, billing issues, water leaks, department procedures, or other issues; researches problems and initiates problem resolution; and processes requests for rereads. Supervises manual work functions associated with meter reading/servicing activities, such as testing meters, testing water line pressure, removing meters, replacing meters, setting meters, maintaining water meters, installing/repairing hydrant meters, changing meter boxes/lids, pumping water from pits, digging out meter pits, removing debris from meter pits, cutting concrete, cutting/removing bushes, shoveling materials, raking ground areas, or lifting/moving heavy materials. Supervises the operation of a variety of machinery, equipment and tools associated with meter reading activities, which may include a utility truck, radio communications equipment, mainframe computer, handheld computer unit, touch-read wand, touch-read mini-reader, water meter, meter locator, meter tester, meter stick, probe rod, water displacement pump, meter wrench, meter lock, hedge trimmers, rake, shovel, and mechanic tools. Ensures availability of adequate equipment, tools, parts, and materials to conduct work activities; initiates orders for new or replacement parts/materials; sets up service trucks for daily work; and determines assignment of new touch-read meters. Supervises general cleaning/maintenance tasks necessary to keep machinery, equipment, and tools in operable condition, which may include inspecting equipment, checking/replacing fluids, greasing equipment, washing/cleaning equipment, and cleaning work/storage areas; monitors equipment operations to maintain efficiency and safety; and reports faulty equipment. Prepares or completes various forms, reports, correspondence, schedules, routes, subdivision maps, accident reports, purchase orders, overtime sheets, performance appraisals, or other documents. Receives various forms, reports, correspondence, reread reports, high/low reports, zero consumption reports, attendance reports, overtime reports, annual reports, vehicle maintenance reports, customer complaints, statistical data, blueprints, maps, policies, procedures, manuals, reference materials, or other documentation; reviews, completes, processes, forwards or retains as appropriate. Communicates via telephone and/or two-way radio; provides information and assistance; takes and relays messages; and responds to requests for service or assistance. Discusses water problems and related issues with customers and contractors; assists in resolving water problems. Communicates with upper management, employees, other departments, City officials, customers, contractors, vendors, the public, and other individuals as needed to coordinate work activities, review status of work, exchange information, resolve problems, or give/receive advice/direction. Maintains a comprehensive, current knowledge of applicable laws/regulations; maintains an awareness of new procedures, trends and advances in the profession; reads professional literature; maintains professional affiliations; and attends workshops and training sessions as appropriate. ADDITIONAL FUNCTIONS Provides assistance or coverage to other employees as needed. Performs other related duties as required. Minimum Qualifications MINIMUM QUALIFICATIONS Associate's degree from an accredited college or university in engineering, business, public administration, or a related field. An otherwise qualified individual who does not have a degree must enroll in a degree program at an accredited college or university within twelve (12) months in the position, and must obtain an Associate's degree in engineering, business, public administration, or in a related field within four (4) years in the position. Six (6) years of experience in meter reading/maintenance, water distribution, and/or plumbing. With three (3) years of experience in a supervisory capacity. Must possess and maintain a valid Level I Water Distribution License as mandated by the State of Florida Department of Environmental Protection. Must possess and maintain a valid Class E Florida driver's, or be able to obtain a Florida driver's license prior to hire date. PREFERRED QUALIFICATIONS Bachelor's degree in engineering, business, public administration, or a related field. Possession of a valid State of Florida Class B Commercial Driver's License. Supplemental Information COMMUNICATION COMPETENCIES The ability to clearly communicate Department and City Goals, Policies, Strategic Plans and other key information to employees and peers using multiple communication platforms including e-mail and social media. Effectively communicates with supervisor, employees, other departments, contractors, engineers, utility companies, vendors, outside agencies, the public, and other individuals as needed to coordinate work activities, review status of work, exchange information, or resolve problems. Accurately and expeditiously receives and delivers messages and information to the appropriate individuals. Ability to prepare accurate and thorough written records and reports. Ability to understand and follow oral and written instructions and to complete assigned tasks with minimal direction. Ability to understand and quickly and accurately follow brief oral and written instructions on moderately complex matters. KNOWLEDGE, SKILLS, AND ABILITIES (KSA's) Knowledge of department and division operations, policies, procedures, practices and all applicable codes, laws, rules and regulations. Knowledge of and the ability to ensure compliance with safety policies, procedures, practices and OSHA regulations. Knowledge of plumbing standards. Knowledge of and the ability to demonstrate proper work methods and procedures when managing field crew employees. Ability to supervise, evaluate the work of field employees, and identify and resolve personnel issues and concerns. Ability to coordinate, plan and prioritize work assignments to achieve optimum effectiveness in staff utilization and cross-training. Ability to determine and requisition proper and adequate materials, supplies and equipment for job completion. Ability to oversee the inspection and repair/replacement of malfunctioning equipment. Ability to utilize, troubleshoot, and resolve issues with various software applications and GPS equipment. Ability to troubleshoot and resolve issues and complaints from the public. Ability to effectively and accurately communicate both orally and in writing. Ability to effectively interact with the public, managers, co-workers, other department staff, contractors, and with outside agencies. Ability to develop and sustain good working relationships with all department staff. Ability to collaborate with the other Utilities divisions to ensure cross-training hours are attainable by field employees. Ability to ensure cross-training hours are tracked and recorded for field employees. Ability to manage the division budget to effectively utilize available financial resources. PHYSICAL AND SENSORY REQUIREMENTS / ENVIRONMENTAL FACTORS Physical Ability : Tasks require the ability to exert light physical effort in sedentary to light work, but which may involve some lifting, carrying, pushing and/or pulling of objects and materials of light to moderately heavy weight (up to 50 pounds). Tasks may involve extended periods of time at a keyboard or work station. Sensory Requirements : Tasks require the ability to perceive and discriminate colors or shades of colors, sounds, odor, depth, texture, and visual cues or signals. Tasks require the ability to communicate orally. Environmental Factors : Performance of essential functions may require exposure to adverse environmental conditions, such as odors, wetness, humidity, rain, fumes, temperature and noise extremes, machinery, electric currents, traffic hazards, or toxic agents. The City of Boynton Beach, Florida, is an Equal Opportunity Employer. In compliance with the Americans with Disabilities Act (42 U.S. C. 12101 et. seq. ), the City of Boynton Beach will provide reasonable accommodations to qualified individuals with disabilities and encourages both prospective and current employees to discuss potential accommodations with the employer. The physical demands described are representative of those that must be met by an employee to successfully perform the essential functions of this job. A review of this position has excluded the marginal functions of the position that are incidental to the performance of fundamental job duties. All duties and responsibilities are essential job functions and requirements are subject to possible modifications to reasonably accommodate individuals with disabilities. To perform this job successfully, the incumbent(s) will possess the abilities and aptitudes to perform each duty proficiently. Some requirements may exclude individuals who pose a direct threat of significant risk to the health or safety of themselves or others. Requirements are representative of the minimum level of knowledge, skills, and ability. Purpose of Classification The purpose of this classification is to drive/operate a bus to transport passengers along a prescribed route. Essential Functions The following duties and functions, as outlined herein, are intended to be representative of the type of tasks performed within this classification. They are not listed in any order of importance. The omission of specific statements of the duties or functions does not exclude them from the classification if the work is similar, related, or a logical assignment for this classification. Other duties may be required and assigned. Drives bus or other passenger vehicle to transport passengers over designated routes; performs driving functions safely and efficiently in various weather conditions. Organizes daily trip routes and arrival/departure schedules. Prior to exiting bus, conducts an inspection to ensure all passengers have disembarked. Picks up and delivers passengers between specified locations; assists children and/or elderly/disabled passengers and their packages into or out of vehicle; promotes passenger comfort during trips; and accounts for passengers at various destinations. Promotes positive customer relations; greets and converses with passengers; responds to questions and requests for assistance; provides information related to bus routes, schedules, destinations, local directions, and other information Operates motorized handicapped passenger lift; secures wheelchairs and motorized scooters during transport. Follows established safety procedures and traffic laws, utilizes safety equipment, and monitors work environment to ensure safety/welfare of employees, passengers, and other individuals; reports any incidents, accidents, problems, or unusual situations. Monitors traffic conditions surrounding bus to identify obstructions, pedestrians, or unsafe traffic conditions. Operates a variety of equipment and tools associated with department activities, which may include a fuel pump, fire extinguisher, two-way radio, copy machine, and calculator. Performs general maintenance tasks necessary to keep vehicles, equipment, and tools in operable condition, which may include inspecting/testing equipment, checking fluid levels, pumping fuel, or washing/cleaning the interior/exterior of the bus. Conducts pre-trip inspections of bus to verify safety or to identify potential problems; monitors equipment operations to maintain efficiency and safety; reports faulty equipment. Completes/maintains logs and records of trips, mileage, fuel, passengers, inspections, and other activities. Prepares or completes various forms, correspondence, reports, bus schedules, , mileage reports, passenger counts, vehicle inspection reports, vehicle work orders, time cards, and other documents. Prepare and maintain a transportation log to include each child's name, date, time of departure, time of arrival, the signature of the driver, and the signature of a second staff member or person(s) authorized by the parent to verify the driver's log and that all children have left the vehicle. Receives various forms, reports, passenger pickup lists, route information, vehicle maintenance reports, , safety notices, maps, manuals, or other documentation; reviews, processes, forwards or retains as appropriate. Communicates with supervisor, employees, other departments, passengers, the public, and other individuals as needed to coordinate work activities, review status of work, exchange information, or resolve problems. Communicates via telephone and/or two-way radio; provides information and assistance; takes and relays messages or directs calls to appropriate personnel; returns calls as necessary. ADDITIONAL FUNCTIONS Provides assistance or coverage to other employees as needed. Performs other related duties as required. Minimum Qualifications High school diploma or valid equivalent; vocational/technical training in passenger vehicle operation and defensive driving, (5) months previous experience involving commercial driving, passenger transportation, and defensive driving. Must possess and maintain a valid Florida Commercial Driver's License (CDL) including appropriate endorsement(s).Must possess and maintain a valid Defensive Driving Course Certification within ninety (90) days of hire. Supplemental Information COMMUNICATION COMPETENCIES Effectively communicates with supervisor, employees, other departments, contractors, engineers, companies, vendors, outside agencies, the public, and other individuals as needed to coordinate work activities, review status of work, exchange information, or resolve problems. Accurately and expeditiously receives and delivers messages and information to the appropriate individuals. Ability to prepare accurate and thorough written records and reports. Ability to understand and follow oral and written instructions and to complete assigned tasks with minimal supervisory direction. Ability to understand and quickly and accurately follow brief oral and written instructions on moderately complex matters. Ability to establish and maintain harmonious working relationships with Supervisor, customers, other employees, other departments, other governmental and regulatory agencies, and the general public as needed. KNOWLEDGE, SKILLS, AND ABILITIES Knowledge of departmental policy and procedures Knowledge of safe and efficient work practices related to inspections of vehicle and equipment Knowledge of the geography of the City of Boynton Beach Ability to safely operate a commercial vehicle Ability to accurately prepare and complete a transportation log Ability to pick up and deliver passengers to assigned locations Ability to effectively communicate with supervisors, employees, and the public Ability to exercise judgement, decisiveness, and detect unsafe and hazardous conditions Ability to work in a team environment and to adhere to established policies and procedures The City of Boynton Beach, Florida, is an Equal Opportunity Employer. In compliance with the Americans with Disabilities Act (42 U.S. C. 12101 et. seq. ), the City of Boynton Beach will provide reasonable accommodations to qualified individuals with disabilities and encourages both prospective and current employees to discuss potential accommodations with the employer. The physical demands described are representative of those that must be met by an employee to successfully perform the essential functions of this job. A review of this position has excluded the marginal functions of the position that are incidental to the performance of fundamental job duties. All duties and responsibilities are essential job functions and requirements are subject to possible modifications to reasonably accommodate individuals with disabilities. To perform this job successfully, the incumbent(s) will possess the abilities and aptitudes to perform each duty proficiently. Some requirements may exclude individuals who pose a direct threat of significant risk to the health or safety of themselves or others. Requirements are representative of the minimum level of knowledge, skills, and ability. Purpose of Classification This job classification is responsible for leading, instructing and supervising children in recreational activities, sports, arts & crafts, special events and field trips during the eight week summer camp program. The work schedule is typically 40 hours per week. * Summer Camp with the City of Boynton Beach begins June 10, 2019 - August 2, 2019, and mandatory training is held during the week of June 3, 2019 - June 7, 2019. Essential Functions The following duties and functions, as outlined herein, are intended to be representative of the type of tasks performed within this classification. They are not listed in any order of importance. The omission of specific statements of the duties or functions does not exclude them from the classification if the work is similar, related, or a logical assignment for this classification. Other duties may be required and assigned. Participates in orientation training. Becomes familiar with and implements camp policies, procedures, and philosophy as stated in the Summer Camp Staff Manual, and learns the role of the camp counselor. Organizes and sets up programs and activities; submits activity plans; gathers materials, supplies and equipment for use in implementing plans; and supervises recreation activities. Resolves differences that may arise during play. Assists at all camp check-ins and check-outs with assigned roles and responsibilities. Participates in all activities with campers. Encourages and facilitates camper's participation in all activities by implementing appropriate strategies, such as visual structure and reinforcements. Implements behavior management strategies according to the guidelines stated in the Summer Camp Staff Manual. Discusses these strategies with supervisory staff. Greets the public; answers questions about registered participants from parents; meets parents/care providers daily or as needed and discusses the camper's week with them. Assures that all of the camper's belongings are returned to guardians. Opens and closes the recreation building; checks buildings; reports any maintenance problems; and maintains order in the building. Complies with established policies, procedures, and regulations of the Recreation and Parks Department, the City, and Department of HRS. Maintains the cleanliness of all areas of camp utilized by campers and camp staff. Completes assigned cleaning jobs. Stores supplies appropriately after use. Upon exiting bus, completes an inspection to ensure all passengers have exited the bus. Takes periodic head counts and performs a roll call of camper names throughout the day and during transitions to different activities or locations. Performs all other duties as assigned. COMMUNICATION COMPETENCIES Effectively communicates with supervisor, employees, other departments, contractors, engineers, companies, vendors, outside agencies, the public, and other individuals as needed to coordinate work activities, review status of work, exchange information, or resolve problems. Accurately and expeditiously receives and delivers messages and information to the appropriate individuals. Ability to prepare accurate and thorough written records and reports. Ability to understand and follow oral and written instructions and to complete assigned tasks with minimal supervisory direction. Ability to understand and quickly and accurately follow brief oral and written instructions on moderately complex matters. Minimum Qualifications High school diploma or valid equivalent; six (6) months previous experience or training in interacting with children in a summer or other day camp or child care setting. Must possess valid CPR/First Aid Certification prior to date of hire and must maintain the certification thereafter. PREFERRED QUALIFICATIONS One (1) year of experience in Recreation or related field. Additional education and experience or an equivalent combination of training and experience may be substituted for the above requirements. Valid Florida Driver's license. Supplemental Information KNOWLEDGE, SKILLS, AND ABILITIES Knowledge and understanding of how to lead and/or participate in all aspects of camp activities. Knowledge of behavior-management techniques. Knowledge of safety regulations and emergency procedures. Knowledge of the child developmental process and needs of youth. Knowledge of group management techniques. Knowledge of the limited abilities of youth as it relates to their ability to participate in recreational activities. Knowledge of environmental factors that could have a negative affect on campers, such as bad weather, water hazards, poison ivy and wild animals. Ability to plan and coordinate weekly schedule of activities for youth. Ability to interpret and appropriately apply health and safety regulations to those youth participating in the day camp. Ability to observe each camper daily and check for cuts, bruises, skin rashes, or other indications of illness or injury. Ability to help the campers with daily self-maintenance tasks. Ability to serve as a positive role model for campers, including attitude, punctuality, treating others with respect, sportsmanship, etc. Ability to establish and maintain effective working relationships with camp participants, parents of campers, other camp employees and volunteers. Ability to offer guidance in-group and camp-wide activities. Ability to work as part of a team to ensure that all camper's needs are met in a fair and appropriate way. Ability to observe camper behavior, assess its appropriateness, and initiate necessary action. Ability to remain calm and act resourcefully in an emergency and in stressful situations. Ability to recognize and respond to opportunities for group problem solving. Ability to communicate effectively, both verbally and in writing. Ability to keep camp supplies and equipment in good shape Ability to work with a variety of age and skill levels. Ability to ensure proper supervision is maintained at all times. PHYSICAL AND SENSORY REQUIREMENTS / ENVIRONMENTAL FACTORS Physical Ability : Tasks require the ability to exert very moderate physical effort in light work, typically involving some combination of stooping, kneeling, crouching and crawling, and which may involve some lifting, carrying, pushing and/or pulling of objects and materials of moderate weight (20 pounds). Sensory Requirements : Some tasks require the ability to perceive and discriminate visual cues or signals. Tasks require the ability to communicate orally. Environmental Factors : Essential functions are regularly performed indoors and outdoors, with possible exposure to adverse environmental conditions. When working outdoors, may be exposed to a variety of environmental conditions, including high temperatures, humidity, moisture, odors, insects, and distracting noises. The City of Boynton Beach, Florida, is an Equal Opportunity Employer. In compliance with the Americans with Disabilities Act (42 U.S. C. 12101 et. seq. ), the City of Boynton Beach will provide reasonable accommodations to qualified individuals with disabilities and encourages both prospective and current employees to discuss potential accommodations with the employer. The physical demands described are representative of those that must be met by an employee to successfully perform the essential functions of this job. A review of this position has excluded the marginal functions of the position that are incidental to the performance of fundamental job duties. All duties and responsibilities are essential job functions and requirements are subject to possible modifications to reasonably accommodate individuals with disabilities. To perform this job successfully, the incumbent(s) will possess the abilities and aptitudes to perform each duty proficiently. Some requirements may exclude individuals who pose a direct threat of significant risk to the health or safety of themselves or others. Requirements are representative of the minimum level of knowledge, skills, and ability. Purpose of Classification The purpose of this seasonal job classification is to plan and supervise recreation activities during summer day camp programs. Position is responsible for assisting children with disabilities to assimilate into the day camp setting. The City of Boynton Beach Recreation & Parks Department offers an inclusive summer camp program. We invite children of all abilities to participate in summer camp. An Individual Recreation Plan (IRP) will be created for each individual who requests a reasonable modification under the Americans with Disabilities Act. Summer Day Camp Inclusion Counselor is responsible for carrying out the Individual Recreation Plan and documenting the process. This position would typically be scheduled 40 hour per week. * Summer Camp with the City of Boynton Beach begins June 10, 2019 - August 2, 2019, and mandatory training is held during the week of June 3, 2019 - June 7, 2019. Essential Functions The following duties and functions, as outlined herein, are intended to be representative of the type of tasks performed within this classification. They are not listed in any order of importance. The omission of specific statements of the duties or functions does not exclude them from the classification if the work is similar, related, or a logical assignment for this classification. Other duties may be required and assigned. Participates in orientation training. Becomes familiar with and implements camp policies, procedures, and philosophy as stated in the Summer Camp Staff Manual, and learns the role of the camp counselor. Reviews and implements IRP. Evaluates IRP and provides feedback as needed. Communicates any questions, concerns or feedback to supervisory staff. Organizes and sets up programs and activities; gathers materials, supplies and equipment for use in implementing plans; and supervises recreation activities. Resolves differences that may arise during play. Assists at all camp check-ins and check-outs with assigned roles and responsibilities. Participates in all activities with campers. Encourages and facilitates camper's participation in all activities by implementing appropriate strategies, such as visual structure and reinforcements. Implements behavior management strategies according to the guidelines stated in the Summer Camp Staff Manual. Discusses these strategies with supervisory staff. Greets the public; answers questions about registered participants from parents; meets parents/care providers daily or as needed and discusses the camper's week with them. Discusses with parents of children with disabilities if the agreed upon program modification(s) are being successfully met. Assures that all of the camper's belongings are returned to guardians. Opens and closes the recreation building; checks buildings; reports any maintenance problems; and maintains order in the building. Complies with established policies, procedures, and regulations of the Recreation and Parks Department and the City. Maintains the cleanliness of all areas of camp utilized by campers and camp staff. Completes assigned cleaning jobs. Stores supplies appropriately after use. Performs all other duties as assigned. COMMUNICATION COMPETENCIES Effectively communicates with supervisor, employees, other departments, contractors, engineers, companies, vendors, outside agencies, the public, and other individuals as needed to coordinate work activities, review status of work, exchange information, or resolve problems. Accurately and expeditiously receives and delivers messages and information to the appropriate individuals. Ability to prepare accurate and thorough written records and reports. Ability to understand and follow oral and written instructions and to complete assigned tasks with minimal supervisory direction. Ability to understand and quickly and accurately follow brief oral and written instructions on moderately complex matters Minimum Qualifications High school diploma or equivalent; six (6) months previous experience in working with or supervising children in a summer or other day camp or child care setting. Experience must include prior interaction with children with disabilities. Must possess valid CPR/First Aid Certification prior to date of hire and must maintain the certification thereafter. PREFERRED QUALIFICATIONS Possession of Florida State Department of Health Forty (40) hour Childcare Certification. Certified Exceptional Student Education (ESE) Teacher. Valid Florida Driver's License. Supplemental Information KNOWLEDGE, SKILLS, AND ABILITIES Knowledge and understanding of how to lead and/or participate in all aspects of camp activities. Knowledge of behavior-management techniques. Knowledge of safety regulations and emergency procedures. Knowledge of the child developmental process and needs of youth. Knowledge of group management techniques. Knowledge of the limited abilities of youth as it relates to their ability to participate in recreational activities. Knowledge of environmental factors that could have a negative effect on campers, such as bad weather, water hazards, poison ivy and wild animals. Ability to plan activities for children with disabilities to successfully assimilate the children into the day camp setting and program. Ability to accurately follow the requested accommodation, which may include an individualized inclusion plan, to ensure the needs of children with disabilities are met. Ability to plan and coordinate weekly schedule of activities for youth. Ability to interpret and appropriately apply health and safety regulations to those youth participating in the day camp. Ability to observe each camper daily and check for cuts, bruises, skin rashes, or other indications of illness or injury. Ability to help the campers with daily self-maintenance tasks. Ability to serve as a positive role model for campers, including attitude, punctuality, treating others with respect, sportsmanship, etc. Ability to establish and maintain effective working relationships with camp participants, parents of campers, other camp employees and volunteers. Ability to offer guidance in-group and camp-wide activities. Ability to work as part of a team to ensure that all camper's needs are met in a fair and appropriate way. Ability to observe camper behavior, assess its appropriateness, and initiate necessary action. Ability to remain calm and act resourcefully in an emergency and in stressful situations. Ability to recognize and respond to opportunities for group problem solving. Ability to communicate effectively, both verbally and in writing. Ability to keep camp supplies and equipment in good shape Ability to work with a variety of age and skill levels. PHYSICAL AND SENSORY REQUIREMENTS / ENVIRONMENTAL FACTORS Physical Ability : Tasks require the ability to exert very moderate physical effort in light work, typically involving some combination of stooping, kneeling, crouching and crawling, and which may involve some lifting, carrying, pushing and/or pulling of objects and materials of heavy weight (75 pounds). Sensory Requirements : Some tasks require the ability to perceive and discriminate visual cues or signals. Tasks require the ability to communicate orally. Environmental Factors : Essential functions are regularly performed indoors and outdoors, with possible exposure to adverse environmental conditions. When working outdoors, may be exposed to a variety of environmental conditions, including high temperatures, humidity, moisture, odors, insects, and distracting noises. The City of Boynton Beach, Florida, is an Equal Opportunity Employer. In compliance with the Americans with Disabilities Act (42 U.S. C. 12101 et. seq. ), the City of Boynton Beach will provide reasonable accommodations to qualified individuals with disabilities and encourages both prospective and current employees to discuss potential accommodations with the employer. The physical demands described are representative of those that must be met by an employee to successfully perform the essential functions of this job. A review of this position has excluded the marginal functions of the position that are incidental to the performance of fundamental job duties. All duties and responsibilities are essential job functions and requirements are subject to possible modifications to reasonably accommodate individuals with disabilities. To perform this job successfully, the incumbent(s) will possess the abilities and aptitudes to perform each duty proficiently. Some requirements may exclude individuals who pose a direct threat of significant risk to the health or safety of themselves or others. Requirements are representative of the minimum level of knowledge, skills, and ability. Purpose of Classification The purpose of this classification is to protect lives by overseeing and ensuring the safety of visitors to the pool. *Seasonal Pool Lifeguards for Summer Camp with the City of Boynton Beach will begin June 3, 2019 - August 10, 2019. Essential Functions The following duties and functions, as outlined herein, are intended to be representative of the type of tasks performed within this classification. They are not listed in any order of importance. The omission of specific statements of the duties or functions does not exclude them from the classification if the work is similar, related, or a logical assignment for this classification. Other duties may be required and assigned. Oversees the activities of visitors to the pool; takes preventive safety actions; provides emergency first aid; performs CPR; makes rescues; contacts appropriate medical or emergency personnel when necessary. Cleans the pool and related facilities on a regular schedule. Meets and greets patrons; resolves conflicts; explains pool rules, regulations and policies. Takes part in training programs to improve lifeguarding skills. Registers participants, operates cash register. Assists with special events. Maintains high physical fitness level through mandatory work outs. Prepares incident reports. Performs related tasks as required ADDITIONAL FUNCTIONS Keeps pool free of dangerous debris. Assists in maintaining equipment. Answers the telephone. Performs other related duties as required. COMMUNICATION COMPETENCIES Effectively communicates with supervisor, employees, other departments, contractors, engineers, companies, vendors, outside agencies, the public, and other individuals as needed to coordinate work activities, review status of work, exchange information, or resolve problems. Effectively take preventative safety actions and provides emergency first aid, CPR, and rescues when necessary Accurately and expeditiously receives and delivers messages and information to the appropriate individuals. Ability to prepare accurate and thorough written records and reports. Ability to understand and follow oral and written instructions and to complete assigned tasks with minimal supervisory direction. Ability to coordinate, monitor, organize, and assign daily activities. Ability to understand and quickly and accurately follow brief oral and written instructions on moderately complex matters. Ability to establish and maintain harmonious working relationships with Supervisor, customers, other employees, other departments, other governmental and regulatory agencies, and the general public as needed. Minimum Qualifications Must possess and maintain a valid Florida Driver's License. Must possess and maintain current certification in American Red Cross (ARC) Lifeguard Training, and ARC or American Heart Association certification in CPR for the Professional Rescuer. PREFERRED QUALIFICATIONS Possess the Water Safety Instructors (WSI) certification. Supplemental Information KNOWLEDGE, SKILLS, AND ABILITIES Knowledge of departmental policy and procedures Knowledge of safety policy and procedures of the pool facility Ability to exercise judgment, decisiveness, and detect unsafe and hazardous conditions Ability to oversee activities for visitors, greet patrons, resolve conflicts, and enforce pool rules, regulations, and policies. Ability to perform clerical functions of operating a register, registering participants, and prepare detailed incident reports. Ability to teach and instruct swimming lessons Ability to participate in training programs and mandatory workouts. Ability to maintain upkeep and cleanliness of the pool facility on a regular schedule. PHYSICAL AND SENSORY REQUIREMENTS / ENVIRONMENTAL FACTORS Physical Ability : Tasks require the regular and sustained performance of moderately physically demanding work, typically involving some combination of climbing and balancing, stooping, kneeling, crouching, and crawling, and that generally involves lifting, carrying, pushing, and/or pulling of moderately heavy objects and materials (50 pounds); and occasionally heavier items (100 pounds). Sensory Requirements : Tasks require the ability to perceive and discriminate colors or shades of colors, sounds, odor, depth, texture, and visual cues or signals. Tasks require the ability to communicate orally. Environmental Factors : Performance of essential functions may require exposure to adverse environmental conditions, such as odors, wetness, humidity, rain, fumes, temperature and noise extremes, machinery, electric currents, traffic hazards, toxic agents, violence, insect bites, disease, or pathogenic substances. The City of Boynton Beach, Florida, is an Equal Opportunity Employer. In compliance with the Americans with Disabilities Act (42 U.S. C. 12101 et. seq. ), the City of Boynton Beach will provide reasonable accommodations to qualified individuals with disabilities and encourages both prospective and current employees to discuss potential accommodations with the employer. The physical demands described are representative of those that must be met by an employee to successfully perform the essential functions of this job. A review of this position has excluded the marginal functions of the position that are incidental to the performance of fundamental job duties. All duties and responsibilities are essential job functions and requirements are subject to possible modifications to reasonably accommodate individuals with disabilities. To perform this job successfully, the incumbent(s) will possess the abilities and aptitudes to perform each duty proficiently. Some requirements may exclude individuals who pose a direct threat of significant risk to the health or safety of themselves or others. Requirements are representative of the minimum level of knowledge, skills, and ability. Purpose of Classification The purpose of this classification is to serve as clerk to the City Commission, to file and maintain official City documents and records, to coordinate municipal election activities, and to perform various administrative duties to assist the City's elected and appointed officials. Serves as custodian of the City seal and is authorized to affix to necessary documents. The City Clerk is the City's Records Custodian and the Municipal Supervisor of Elections. Essential Functions The following duties and functions, as outlined herein, are intended to be representative of the type of tasks performed within this classification. They are not listed in any order of importance. The omission of specific statements of the duties or functions does not exclude them from the classification if the work is similar, related, or a logical assignment for this classification. Other duties may be required and assigned. Supervises, directs, and evaluates assigned staff, addresses employee concerns and problems, directing work, counseling, and managing employee performance.. Schedules, assigns and supervises daily operations of City Clerk's Office. Oversees the processing of incoming and outgoing mail for the City. Attends all meetings of the City Commission and other assigned boards; conducts roll call on motions and records all meeting proceedings. Accepts advisory board appointment applications and tracks advisory board member attendance at meetings. Oversees the preparation of City Commission electronic meeting agendas and minutes; reviews, proofreads, and approves minutes; coordinates preparation and mailing of meeting notices and packets. Assists and confers with various officials and staff including the City Commissioners, advisory board members, City Manager, City Attorney, department directors, the public and others, and is responsible for proper administration of all legislative affairs. Administers oath of office to City Commissioners and employees. Composes correspondence, memos, management reports; maintains various logs, indexes, and calendars; prepares legal advertisements for public hearings, ordinances, and bid openings. Serves as liaison to the news media and the general public regarding municipal elections, City Clerk business and other related matters. Attests, certifies, and files documents and legal papers of the City including contracts, agreements, resolutions, ordinances, proclamations, and others; provides authentication of all ordinances, resolutions, and transcripts of municipal functions; reviews, signs and seals various permits, deeds, and orders. Administers the City's records management program and coordinates the logging, indexing, filing and digital scanning of municipal records and files; oversees the preparation of documents for storage and disposition. Accepts, tracks and forwards responses to public record requests. Responds to inquiries, problems and complaints from the general public. Manages the operations of municipal elections on an annual basis; duties include, but are not limited to, processing filing applications of candidates, overseeing precinct preparations, hiring and preparation of payroll for poll workers, contracting with the polling locations, filing legal election documents with state and federal agencies, and monitoring elections to ensure compliance with federal election laws. Computes, posts and processes various payments and fees for city services; reconciles and maintains account balances; prepares related accounting reports and records. Prepares the department's annual budget; monitors department expenditures for compliance with approved budget; prepares budget transfers and amendments. Prepares and processes purchase requisitions, personnel actions, performance appraisals, and other administrative records; logs, codes and reviews tax search requests, zoning applications, legal advertisements, and others. Reviews state statutes, City codes, ordinances, resolutions, and other legal documents for public information purposes. Attends conferences, training workshops, and professional meetings to maintain knowledge of policies and practices in the city clerk profession and in local government administration. Refers to city ordinances, meeting minutes, state statutes, federal laws, department and City policies and procedures, administrative manuals, computer manuals, technical guidebooks, and other resources. Processes ordinances for updating and maintenance of the City of Boynton Beach Code of Ordinances. Oversees the coordination with funeral directors for burials at City cemeteries, plot sales and issuance of deeds and cemetery work orders. Keeps current with technology changes to keep the City Clerk's Office ahead of the curve. Maintains a comprehensive, current knowledge of applicable laws/regulations; maintains an awareness of new trends and advances in the profession; reads professional literature; maintains professional affiliations; attends workshops and training sessions as appropriate. Additional Functions Provides notary public and certification services as requested. Performs other related duties as required. Minimum Qualifications Bachelor's degree; supplemented by six (6) years previous experience that includes diverse and responsible secretarial and administrative experience in local government. Must possess and maintain a valid Florida driver's license. Must possess and maintain certification as a municipal clerk (CMC) in the State of Florida. Experience with public records and government agenda management software. PREFERRED QUALIFICATIONS Master's degree. Master Municipal Clerk (MMC) designation. Proficient in administering GovQA Public Records software. Proficient in administering Novus Agenda software. Supplemental Information Knowledge of local, federal and state laws, statutes, rules, regulations, ordinances and codes related to public entity codification, maintenance, storage, retrieval, and destruction of public documents. Knowledge of municipal election procedures, rules of conduct and local, federal, and state laws, statutes, rules and regulations. Knowledge of rules of order governing municipal meetings and hearings. Knowledge of file maintenance and record keeping practices and procedures. Comprehensive knowledge of government in the "Sunshine." Skill in assigning, reviewing, evaluating the work of subordinates. Skill in utilizing written and verbal communication in the development and presentation of reports, presentations and directions. Skill in accurately maintaining public records and documents. Proficiency in Microsoft Office Suite including Outlook, Word, Excel, PowerPoint and Access. Ability to be a positive role model and provide effective leadership. Ability to effectively supervise assigned staff and to expeditiously resolve employee issues and concerns. Ability to find and use resources available to assist in the performance of the job. Ability to establish and maintain effective and harmonious work relationships with those contacted in the course of work. Purpose of Classification The purpose of this classification is to perform engineering work for the development and review of public and utility infrastructure. The position is also responsible for managing design, bidding and construction services contracts with consulting engineers and contractors. Essential Functions The following duties and functions, as outlined herein, are intended to be representative of the type of tasks performed within this classification. They are not listed in any order of importance. The omission of specific statements of the duties or functions does not exclude them from the classification if the work is similar, related, or a logical assignment for this classification. Other duties may be required and assigned. Reviews work requirements, status of work, and problems; assists with complex or problem situations; provides direction, advice, and technical expertise. Consults with division managers, director and other officials as needed to review activities, provide recommendations, resolve problems, and receive advice/direction. Coordinates work activities with those of other departments, contractors, consultants, outside agencies, or others as needed. Ensures close cooperation with the ITS Department to ensure that all control systems meet appropriate standards. Reviews, permits, and inspects new construction; reviews plans for improvement projects; manages construction projects; and prepares project construction schedules under the supervision of Senior Engineers or City Engineer. Coordinates procurement of equipment and contracted services; researches new products, systems, and materials; obtains pricing from contractors and suppliers; prepares specifications for materials, equipment, and services; writes, prepares, and reviews bid documents/specifications; recommends award of contracts; ensures contract compliance for all contracts and specifications. Compiles or monitors various administrative and statistical data pertaining to departmental operations; performs research as needed; makes applicable calculations; analyzes data and identifies trends; prepares or generates reports; maintains records. Prepares or completes various forms, reports, correspondence, plant operational reports, regulatory reports, change orders, specifications, permit applications, budget documents, performance appraisals, agenda items, or other documents. Receives various forms, reports, correspondence, requisitions, purchase orders, invoices, budget reports, equipment submittals, payroll sheets, vehicle maintenance requests, accident reports, operations reports, regulatory reports, production reports, quality analysis reports, engineering reports, contract documents, construction documents, engineering plans, electrical drawings, blueprints, specifications, master plans, comprehensive plans, union agreements, codes, regulations, standards, manuals, maps, reference materials, or other documentation; reviews, completes, processes, forwards or retains as appropriate. Responds to complaints and questions related to department operations; provides information, researches problems, and initiates problem resolution. Attends City commission meetings or other meetings; serves on committees as needed; presents information and presentations to community and other outside customer groups. Maintains a current knowledge of applicable laws/regulations; maintains an awareness of new trends and advances in the profession; reads professional literature; maintains professional affiliations; attends workshops and training sessions as appropriate. Performs other related duties as required. Utility Civil and Environmental Engineers perform the following functions: Assists in design, permitting and construction of water, wastewater, reuse and stormwater facilities and infrastructure. Utilizes hydraulic and hydrology computer models to develop simulations and scenarios for operational optimization and project design. Works with the senior staff and the regulatory agencies to develop and obtain required permits. Assists in design, permitting and construction of stormwater facilities and infrastructure. Coordinate and monitors utility inspection and locations staff activities Minimum Qualifications MINIMUM QUALIFICATIONS Bachelor's degree in electrical, or civil engineering, or closely related field; Must possess and maintain a valid Florida driver's license. PREFERRED QUALIFICATIONS Two (2) years of experience in electrical or civil engineering, or closely related field, specifically pertaining to Utilities or Public works. Supplemental Information KNOWLEDGE, SKILLS, AND ABILITIES Basic knowledge of road design and construction principles and practices as applied to the planning, design, construction, operation, and maintenance of municipal infrastructure. Basic knowledge of utility engineering and construction principles and practices as applied to the planning, design, construction, operation, and maintenance of water and wastewater treatment facilities. Basic knowledge and understanding of rules, regulations, and procedures concerning operations and maintenance of utilities systems. Basic knowledge of regulatory permitting, reporting and operating requirements for public infrastructure and utility systems. Basic knowledge of designing standards for utility infrastructure. Basic knowledge of the capabilities and results of AutoCADD plans and Profile Drawings, Geographic Information Systems (GIS), and hydraulic modeling. Ability to use hydraulic and hydrology software models. Ability to articulate and convey presentations using multiple platforms, in a clear and concise manner. Ability to create clear and comprehensive reports. Ability to read and understand plans and specifications and determine engineering compliance, as specified in City, state, and local codes, ordinances, resolutions, regulations, standards, specifications, policies and procedures. Ability to conduct field inspections for engineering compliance as specified in City, state, and local codes, ordinances, resolutions, regulations, standards, specifications, policies and procedures. PHYSICAL AND SENSORY REQUIREMENTS / ENVIRONMENTAL FACTORS Physical Ability : Tasks require the ability to exert light physical effort in sedentary to light work, but which may involve some lifting, carrying, pushing and/or pulling of objects and materials of light weight (10 pounds). Tasks may involve extended periods of time at a keyboard or work station. Sensory Requirements : Tasks require the ability to perceive and discriminate colors or shades of colors, sounds, odor, depth, texture, and visual cues or signals. Tasks require the ability to communicate orally. Environmental Factors : Performance of essential functions may require exposure to adverse environmental conditions, such as dirt, dust, pollen, odors, wetness, humidity, rain, fumes, temperature and noise extremes, bright/dim light, machinery, vibrations, electric currents, traffic hazards, toxic agents, violence, disease, or pathogenic substances. The City of Boynton Beach, Florida, is an Equal Opportunity Employer. In compliance with the Americans with Disabilities Act (42 U.S. C. 12101 et. seq. ), the City of Boynton Beach will provide reasonable accommodations to qualified individuals with disabilities and encourages both prospective and current employees to discuss potential accommodations with the employer. The physical demands described are representative of those that must be met by an employee to successfully perform the essential functions of this job. A review of this position has excluded the marginal functions of the position that are incidental to the performance of fundamental job duties. All duties and responsibilities are essential job functions and requirements are subject to possible modifications to reasonably accommodate individuals with disabilities. To perform this job successfully, the incumbent(s) will possess the abilities and aptitudes to perform each duty proficiently. Some requirements may exclude individuals who pose a direct threat of significant risk to the health or safety of themselves or others. Requirements are representative of the minimum level of knowledge, skills, and ability. CAREER PATH ADVANCEMENT REQUIREMENTS The follow requirements must be met to advance to Staff Engineer: Possession of the Professional Engineering (PE) Certificate; Four (4) years of experience in electrical or civil engineering, or closely related field, specifically pertaining to utilities or public works. One (1) year of supervisory experience in the realm of Utilities, Public Works or electrical engineering, or closely related field. Recommendation from the Department Director. Must be reviewed by the Director of Human Resources and Risk Management and approved by the City Manager. Purpose of Classification The purpose of this classification is to perform mid-level professional library work, including supervision of daily subdivision operations; participation in the planning and implementation process; monitoring of library service programs; assisting patrons; selecting and recommending materials for collection; determining patron informational needs; searching electronic databases; and creating reports. Compensation is determined based upon qualifications. Essential Functions ESSENTIAL FUNCTIONS The following duties and functions, as outlined herein, are intended to be representative of the type of tasks performed within this classification. They are not listed in any order of importance. The omission of specific statements of the duties or functions does not exclude them from the classification if the work is similar, related, or a logical assignment for this classification. Other duties may be required and assigned. Advises individuals seeking information. Compiles bibliographies and assembles materials on special/timely topics. Compiles statistical reports for variety of library services. Develops, evaluates and monitors library materials for collection; reviews and recommends books and non-book selections for collection based upon national and local collection development standards. Dispenses appropriate information to management. Handles monies from sale of items and/or the printing jobs for patrons. Participates in the goal setting, planning and budgeting process; participates in the planning, development and design for displays and exhibits. Performs research and evaluates the relevance of information as related to patron informational needs; provides reference/research assistance to patrons by answering specific questions either in person or by telephone. Plans, coordinates and implements library programs. Provides bibliographic instruction to the public. Provides telephone service by answering questions dealing with programs, services and the collection. Searches databases for interlibrary loan information and evaluates the appropriateness of material to meet public needs. Supervises, directs and evaluates assigned staff, processes employee concerns and problems, directs work, counsels, disciplines and completes employee performance appraisals; monitors and evaluates volunteer program; trains volunteers; and monitors and coordinates staff for seasonal programming. Uses the Internet and other electronic resource databases to access/retrieve information; advises and instructs patrons in the use of the Internet and other electronic databases. Collaborates with library colleagues on grant project development and proposal writing Serves on appropriate committees and represents the Library in the community, as appropriate Keeps abreast of national developments. Librarians assigned to the cataloging/technical services program perform the following additional duties: Responsible for the cataloging and technical processing of book and non-book materials that are to be added to the library's collections. Monitors the accuracy of computer system's bibliographic records; prepares and presents computer reports; edits computerized records; evaluates bibliographic cataloging using local and consortia standards. Supervises professional and paraprofessional staff in bibliographic processing of all new materials. Evaluates the accuracy of electronic bibliographic records; prepares computer reports; edits computerized records Evaluates the accuracy of electronic bibliographic records: prepares computer reports; edits computerized records. Uses specialized bibliographic software and databases; communicates with bibliographic utilities. ADDITIONAL FUNCTIONS Assigns typing rooms, quiet study room, tutoring rooms, word processing and Internet computer to patrons based upon individual needs. Troubleshoots copier and other equipment problems. Performs other related duties as required. Minimum Qualifications Master's degree in Library and Information Science, from an ALA accredited university or college; supplemented by one (1) year of previous experience involving professional library work, which includes experience in cataloging and reference. Must possess and maintain a valid Florida driver's license. PREFERRED QUALIFICATIONS Previous employment in a public library. Supplemental Information COMMUNICATION COMPETENCIES The ability to clearly communicate Department and City Goals, Policies, Strategic Plans and other key information to employees and peers using multiple communication platforms including e-mail and social media. Effectively communicates with supervisor, employees, other departments, contractors, engineers, companies, vendors, outside agencies, the public, and other individuals as needed to coordinate work activities, review status of work, exchange information, or resolve problems. Accurately and expeditiously receives and delivers messages and information to the appropriate individuals. Ability to prepare accurate and thorough written records and reports. Ability to understand and follow oral and written instructions and to complete assigned tasks with minimal direction. Ability to understand and quickly and accurately follow brief oral and written instructions on moderately complex matters. Ability to establish and maintain harmonious relationships with Supervisor, customers, owners, tenants, City officials, other employees, other departments, other governmental and regulatory agencies, and the general public as needed. KNOWLEDGE, SKILLS, AND ABILITIES Knowledge of the field of library science in general and of area of responsibility in particular. Ability to work with the public and library colleagues in a professional manner. Ability to utilize a wide variety of reference, descriptive, statistical and informational resources. Ability to exercise judgment, decisiveness and creativity in frequently changing situations. Ability to apply principles of influence, such as motivation, incentives, and leadership and to exercise independent judgment in solving problems. Ability to write in a professional manner, to document events, as required, and to speak to public groups, when required. Ability to operate a computer and basic Office and library programs. Ability to perform database searches in appropriate subject areas. PHYSICAL & SENSORY REQUIREMENTS / ENVIRONMENTAL FACTORS Physical Ability : Tasks require the ability to exert very moderate physical effort in light work, typically involving some combination of stooping, kneeling, crouching and crawling, and which may involve some lifting, carrying, pushing and/or pulling of objects and materials of moderate weight (20 pounds). Sensory Requirements : Some tasks require the ability to perceive and discriminate colors or shades of colors, sounds, and visual cues or signals. Some tasks require the ability to communicate orally. Environmental Factors : Essential functions are regularly performed without exposure to adverse environmental conditions. The City of Boynton Beach, Florida, is an Equal Opportunity Employer. In compliance with the Americans with Disabilities Act (42 U.S. C. 12101 et. seq. ), the City of Boynton Beach will provide reasonable accommodations to qualified individuals with disabilities and encourages both prospective and current employees to discuss potential accommodations with the employer. The physical demands described are representative of those that must be met by an employee to successfully perform the essential functions of this job. A review of this position has excluded the marginal functions of the position that are incidental to the performance of fundamental job duties. All duties and responsibilities are essential job functions and requirements are subject to possible modifications to reasonably accommodate individuals with disabilities. To perform this job successfully, the incumbent(s) will possess the abilities and aptitudes to perform each duty proficiently. Some requirements may exclude individuals who pose a direct threat of significant risk to the health or safety of themselves or others. Requirements are representative of the minimum level of knowledge, skills, and ability.